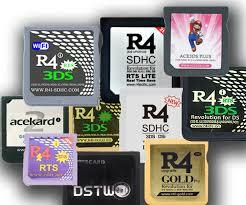 Entre le combat du linker R4i Gold 3DS Deluxe Edition et du 3DSLink, la team de Gateway 3DS est toujours la fameux rôle. Au 1er décembre, la team officielle a publié le nouveau firmware GW 2.0b1 . 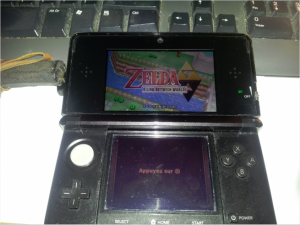 Cependant, certaines fonctions n’ont pas encore été implementées, parmi lesquelles le très attendu mode multi-rom et les sauvegardes de type NAND (nécessaires à Pokémon et Animal Crossing). Le GW 2.0 b1, c’est seulement un “ Public Beta ”. Ce nouveau firmware de Gateway nous apporte quelques nouveaux jeux ( comme Zelda A Link Between Worlds, Batman ) ainsi qu’une interface graphique. 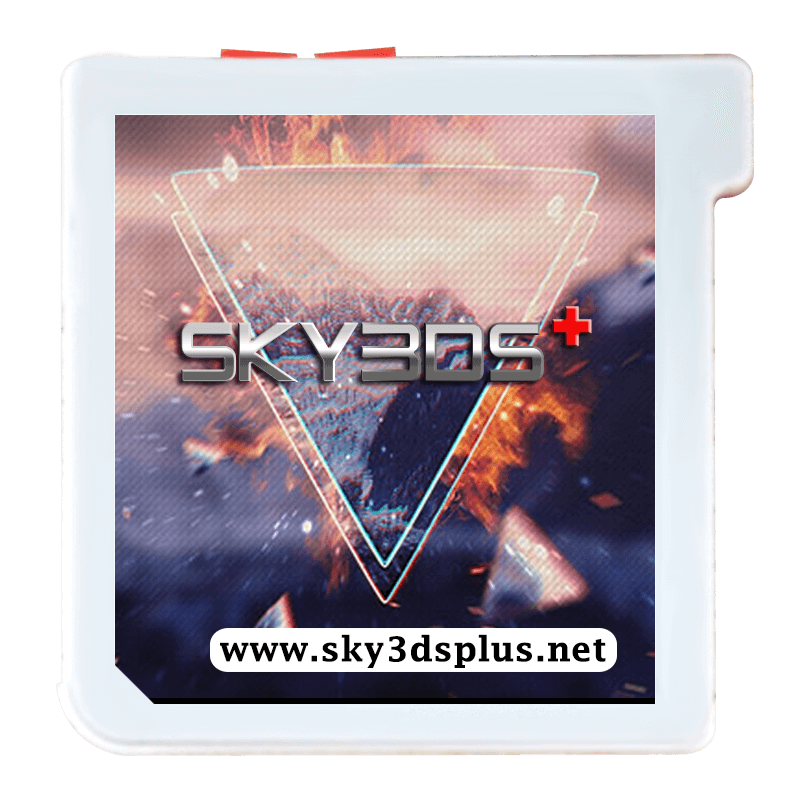 On peut se consoler avec la virtualisation de NAND (nécessaire pour lancer l’eshop ainsi que tous les jeux récents compilés en SDK 5.0). GW 2.0b1 enables up to date compatibility, barring only the 2 known NAND based titles (for which support is coming very soon), as well as the long awaited emuNAND feature. Complementing these great advancements is our new GUI menu system accessible by simply holding down the L button when tapping on the DS Profile button on the touchscreen. For this release we have tried to make the plethora of options as automated and intuitive as possible, and we welcome more feedback from our users regarding the menu, settings and other options for in the coming revisions. So we left a few things out you say ? Well if it was so easy then others would have it already, or might falsely make videos of such claims .. anyway we digress .. Both nand saving, which will officially make us 100% compatible with all known roms, and FAT32 (drag and drop) based multirom support are now close to completion and entering into our internal beta testing. 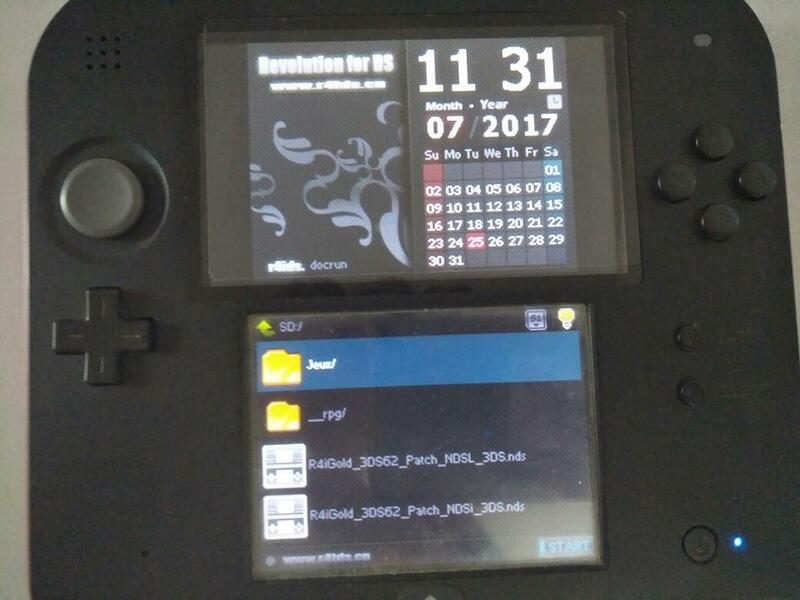 As you can imagine, both these features required a major revamp of our hardware’s internal firmware, something we had known and planned for from day one so rest assured, unlike others, GW3DS is a fully featured and FULLY updatable hardware design. Our policy has and will always be to stick by our customers and ensure they get value for their money. We will be calling on our beta testers shortly to help us stress test our next big step ! Vous pouvez essayer de fermer le Wifi . 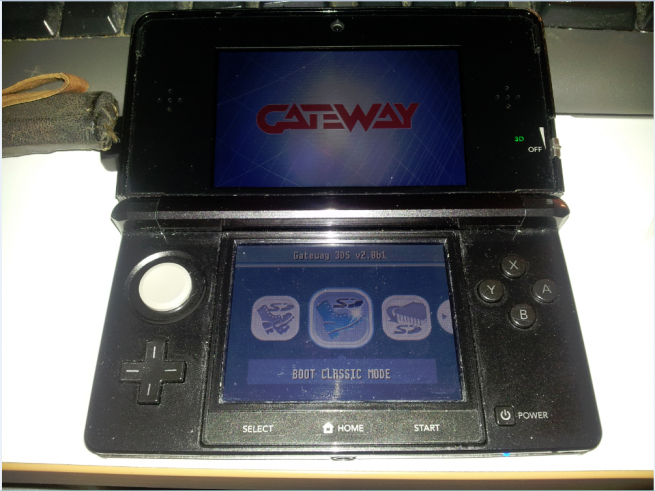 Retirez le GATEWAY 3DS carte . Et refaites les manipulations , ca marche , en général . 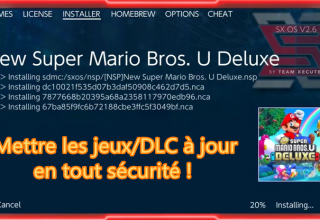 Si le problème de l’écran affiche au cours de firmware update , vous pouvez presser le bouton L .Cliquez « DS » mode , problème résolu !